Hundreds of TXT files are usually stored on computers worldwide, and oftentimes users feel a need to merge all these files together in a more secure format. One of the safest formats for storing of text data is PDF, which is commonly used for file sharing and back up. To save as much time as possible, consider downloading PDF Combine Pro, a unique tool by CoolUtils designed to merge several TXT files into one multi-page PDF. With PDF Combine Pro you do nto have to convert your TXT files first and then combine them; you will have all TXT files converted and then merged to PDF automatically. It is essential to note that with PDF Combine PRO, you can merge TXT to PDF, as well as many other formats, including DOC, DOCX, RTF, TXT, XLS, XLSX, HTML, HTM, MHT, PS, EPS, PRN, and PDF. It's an all-in-one solution for all your PDF combining needs! Would you like a regular PDF, PDF/A or a non-searchable PDF? Our program can provide you with any type you need. Besides, it offes a lot of additional options like inserting a page counter or turning file names into bookmarks. Give it a free try, you won't find a better value. You can download the free trial version of PDF Combine PRO now! 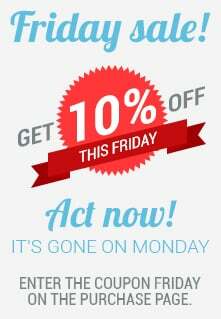 It is active for 30 days, free of charge, and has no obligation. Contact CoolUtils to learn more about this and other products, for questions and comments. Customer service center is available 24/7. 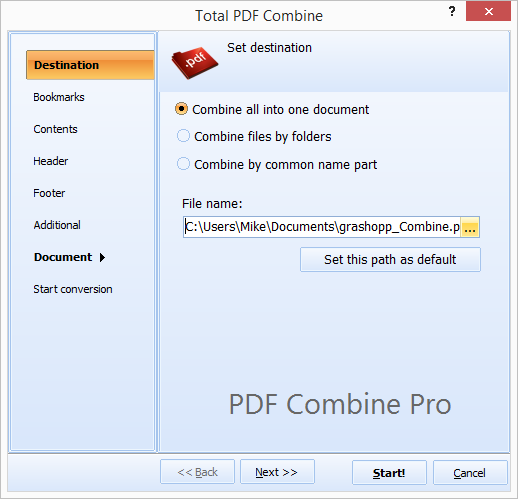 Download PDF Combine PRO here. You can choose to buy the lifetime license or take advantage of the free 30-day trial version. Install the program as usual and then launch it from within the command line, desktop icon or start menu. Tick off the TXT documents in the list of files and folders generated by PDF Combine PRO automatically. Note that you can also add other file types, like HTML, TIFF, JPEG, DOC. All of them will be combined into one PDF. Click on the "Combine to PDF" button to begin merging the files to PDF format. You can adjust the default settings according to personal needs.